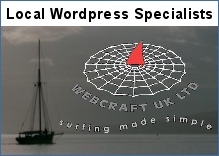 Art, Craft & Photography Businesses In Oban and North Argyll. Alba stock a wide range of prints, cards and gifts taken from the many works of art produced by artists throughout the Highlands and Islands. Picture framing service. A collaboration between over 30 Argyll-based artists. THeir four-day Open Studio event is an opportunity plot your own art trail and visit artists’ studios. Dennis Hardley is a professional landscape photographer based in Oban. Large stock photo library, mostly Scottish landscapes and places. Prints available. 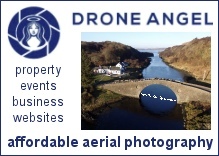 State of the art drone with a fully qualified pilot operator brings affordable aerial photography to all local property, business and website owners. Sue Anderson is a professional freelance travel, landscape and cultural photographer available for comissions. Brorwse the online stock photo library. A collection of creative artists and crafters who have come together to open a shop on the Ferry Pier in Oban, next to The Olive Garden, opposite the station. Alice creates original artworks by hand using a variety of techniques and media. Her Oban studio is open most days, 10amish to 5pm-ish. Run by local artists Midge and Alex Gourlay, the studio specialises in Scottish landscape paintings, textile arts and fine art giclée prints. A new talent on the Oban photography scene, Wullie Rodger is able to turn his considerable talents to anything from photo-art to web shots for your guest house. Wee Beauty Photography offer a professional and friendly wedding photography service for the Argyll, Islands, Lochaber and Highlands regions.